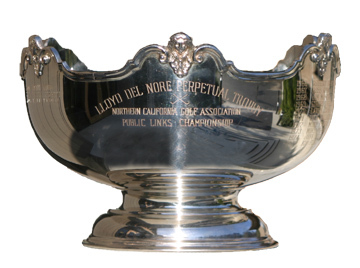 The NCGA Public Links Championship began in 1966, and is the premier event for public-course players. 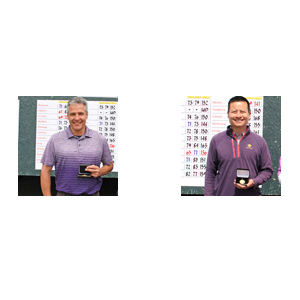 The 36-hole stroke play Championship is contested by a field of 32 players. It coincides with the NCGA Public Links Net Championship (see below). Contestants must be bona fide public course players who do not hold playing privileges in any course from which the general public is excluded. Ryan King holds the scoring record set in 1999 of six-under-par 138. Only three players have managed back-to-back victories, Mike Powers in 1972 and 1973, Mitch Thomas in 1978 and 1979, and Scott Hardy in 2010 and 2011. Four-time NCGA Player of the Year Casey Boyns still reigns with the most NCGA Public Links wins, having claimed the trophy four times. ENTRY FEE: $135 per player. Exempt players pay an additional $30 per player. FORMAT: 18 holes qualifying. 32 players, including exempts, will will advance to the Championship, which will be 36 holes of stroke play (18 holes per day). Non-exempt players will be required to go to sectional qualifying. The Public Links Net Championship was founded as an event for male and female net players during the annual NCGA Public Links Championship. The 36-hole stroke play Championship is contested by a field of 64 players that advance from qualifying rounds. ENTRY FEE: $135 per player. FORMAT: 18 holes qualifying. 64 players will advance to the Championship, which will be 36-hole stroke play, 18 holes per day. Play will be 100% of the course handicap. Course handicaps for women will be adjusted accordingly. FLIGHTS: Players will be divided equally into 2 handicap flights at the Championship. RULES OF PLAY: The USGA Rules of Golf as of January 1, 2019 are in effect and are supplemented by the NCGA rules card. The Committee will provide any additional Local Rules needed at the championship site. It is the individual player’s responsibility to know the Rules of Golf and the Conditions of the Competition. Check out NCGA GO for the best hotel rates in the area! 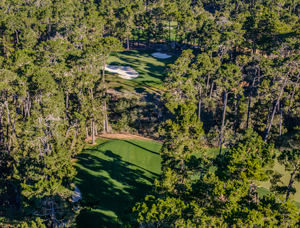 Poppy Hills, which is owned by the NCGA, underwent an extensive renovation beginning in March of 2013 centered around water conservation, primarily by improving irrigation and drainage. Architect Robert Trent Jones II returned with his design firm, this time creating a firm, fast and fun course that unfolds seamlessly through the stunning Del Monte Forest.